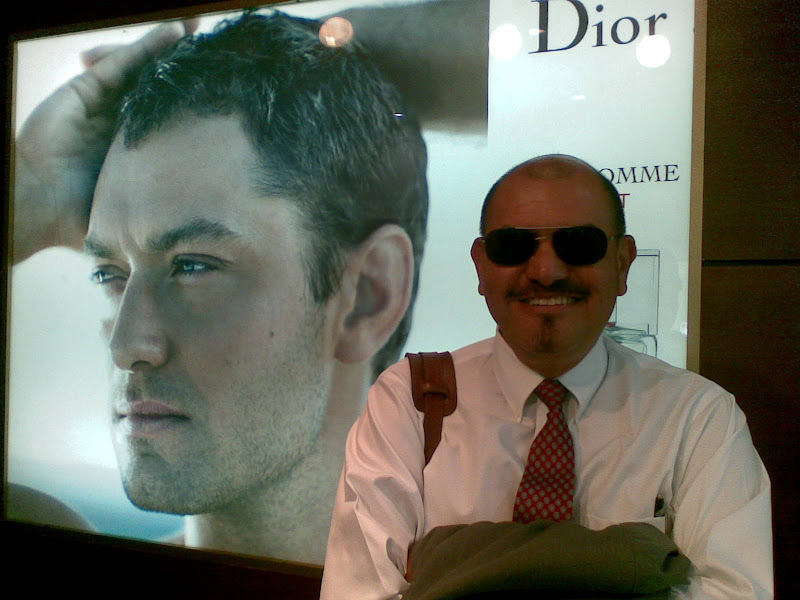 Airports are great for observing how people dress, even for somebody only moderately interested in fashion, like me. (I am hard to convince to go buy clothes, unless we're talking about a new top for my wife and we're passing the shop anyway). 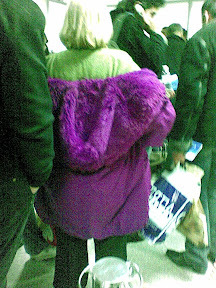 Today when leaving Kiev, I saw a fascinating choice of colour. It is fairly close to the prejudice from 20 years ago in Finland, about what people would wear in what was then called "the Eastern Block". I wouldn't mention that, if it weren't for the fact that most of those countries are now more fashion conscious than Finland ever was. Just make a comparative study of contemporary Estonia and Finland. I was reminded of the even more fascinating fashion I had noted in Turkey in November. For particularly festive occasions, male Turkish travellers seem to go on group travel dressed in white towels! I saw some of them in Istanbul in June, and now ieven more of them in Ankara. 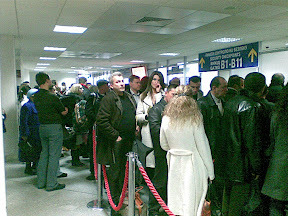 Hordes and hordes of them in the passport queue. I managed to shoot a snapshot of two of these. I am sure there is a perfectly good reason for travelling in bathtowels, and I have to confess that I am curious to know what that reason is, and where they're going. But who am I to judge. I haven't even had the common sense to go get a haircut, for a while. 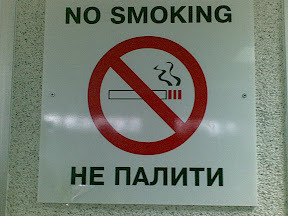 Out of Ukraine: On sequential interpretation, non-smoking and "Europe"
This was my third time in Ukraine. 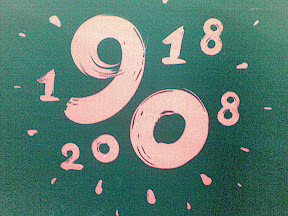 I had been in Ukraine in August 2000, and in March this year. Compared to earlier times, this visit had about 100% less tourism and quite a bit more business interaction. The obvious disadvantage of sequential interpretation is that it takes more time than simultaneous interpretation. A private observation: I would hope for a quick adoption of Ukraine into the EU, and EU wide non-smoking legislation. Now that even Germany smells good, it's time also for the rest of Europe to stop inducing unnecessary headaches to innocent bystanders, to provide for the undisturbed enjoyment of food, and to promote the freedom to breathe. 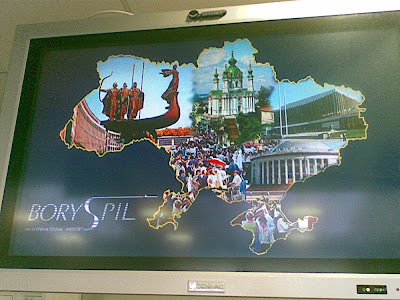 (Ne paliti in Ukrainian = ne kurit in Russian). Another private observation: Ukraine and Finland have several things in common (beyond having Russia as a neighbouring country). One of these commonalities is referring to the rest of Europe as "Europe", as if we weren't part of it ourselves. "I will travel to Europe". "When were you last in Europe?". That wording was more prevalent in Finland 10-20 years ago, so perhaps there is hope for both of our countries to be slightly less self deprecating over time. But the economic importance of the Baltics is increasing. The Sun Microsystems activities are being managed through Sun Finland, whose country manager Hannu Nyländen accompanied Martin and myself through most of the tour. 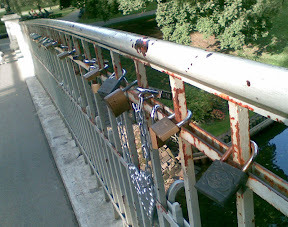 To continue my habit of writing blogs in languages I don't speak, I started a blog also in Lithuanian. 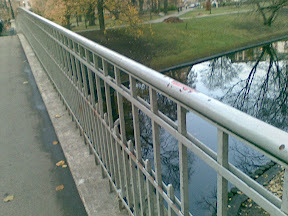 The blog is at http://blogs.arno.fi/laisvas_zodis/, where Laisvas žodis means (or at least is supposed to mean) "Free speech". 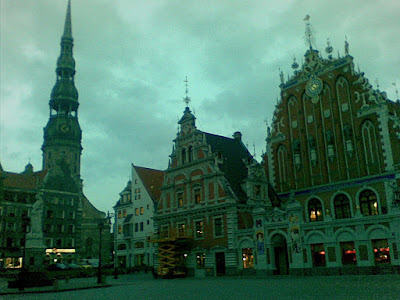 The second destination was Riga, familiar to many MySQLers from our Developer Meeting two months ago. Here, we were hosted by Evijs Taube, Sun's Business Development Manager for Latvia. 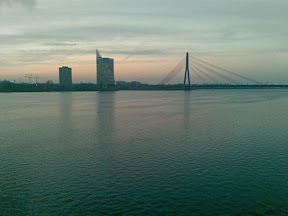 The event was in Reval Hotel Riga (the one with the bar on the 26th floor), and coincided with the Latvian Open Technologies Association's event. LATA (for Latvijas atvērto tehnoloģiju asociācija) and its sponsors (among them Sun) had managed to collect a whopping 350 participants to the event. I was happy to note that my attempt at speaking Latvian was greeted by the audience. 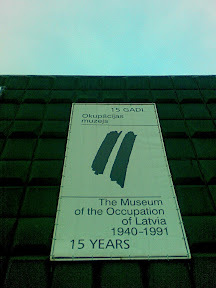 One attendee, Janis from Daugavpils (also known as Tvinky), posted a recording of it online. 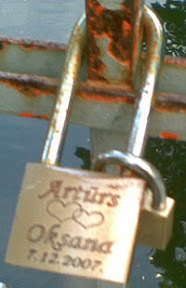 And my Latvian blog is live on http://blogs.arno.fi/labrit/, named Labrīt! for "Good morning!". I'm curious to see whether there will be any reaction to them, by MySQL's Latvian friends, such as Michael Dexter, who helped us a lot in September and whom it was a pleasure to meet again. My colleague Del, the MySQL Sales Rep with Lat Am as his territory, met his boss Kerry Ancheta in Montevideo. Kerry is a user of Dior pour homme. Del has just one "l" and works for Sun Microsystems. 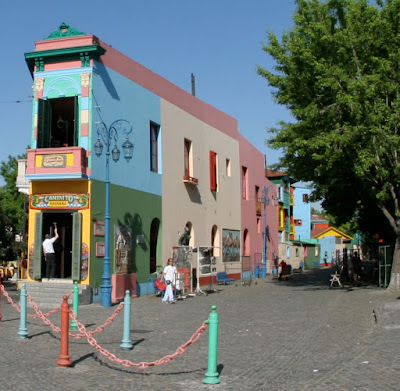 Founded by Genoese labourers, La Boca is one of the prime tourist attractions for visitors to Buenos Aires. 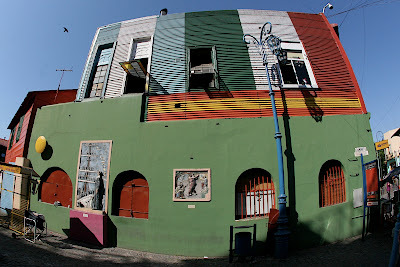 It's famous for its colourful houses, which according to my tourist guide originate from the fact that the workers got paid "in natura", in the form of paint. 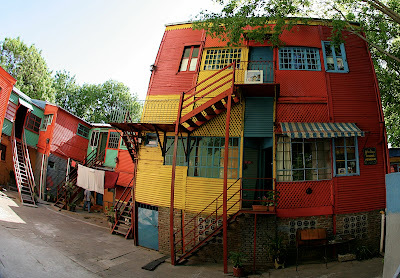 The houses are very colourful indeed. 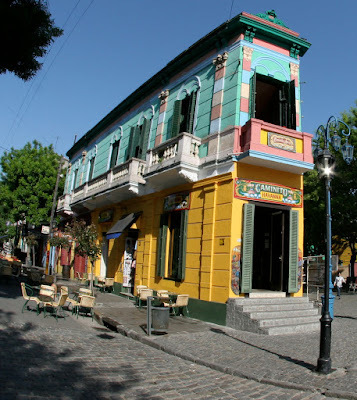 Walking around here is a great way to spend quality tourist time in Buenos Aires. 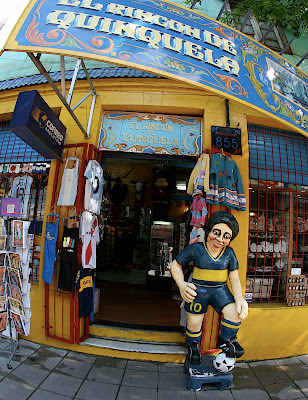 Diego Maradona's team was Boca Juniors, the most famous football club of Argentina. I spoke positively of it to a local (one of the "where are you from?" 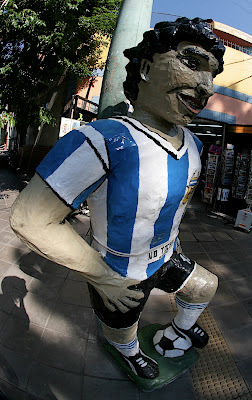 encounters), but I shouldn't have, as he was cheering for River Plate. Of course, I told him of my son's dilemma, contemplating whether to swap loyalties from Bayern München to TSV München 1860. Just three days ago, Diego Maradona got elected to be the coach of the national team of Argentina. He is still as big as Kaiser Beckenbauer in Germany. I like travelling by public transport. It's convenient. I can delegate the driving to somebody else. Also, with a bus, one sees other people, where they go, what they look like, how they behave -- which is a better way to learn to know a place than sitting in a taxi. At least if there's time. And Monday morning, I did have some time. 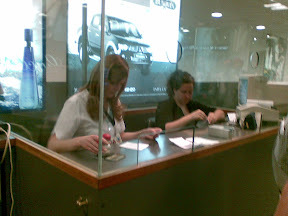 But what I didn't have was something else needed, if you want to ride the bus in Buenos Aires: Monetas. No, that's not to say that I didn't have any local money. I gave the bus driver a well-worn five pesos note. But he didn't accept it, as you'll need coins to pay the bus. 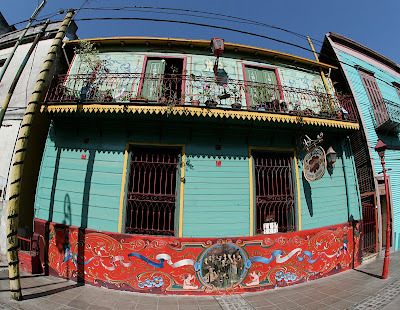 On the way to La Boca, my wife and I had 1,50 when we would have needed 2,00. A friendly, young porteño (inhabitant of Buenos Aires) just gave us 0,50 (worth roughly 10 Euro cents). Very kind. For the way back, we knew we were in trouble. We tried to persist, but no, the bus driver was more persistent than we were. So we went for a bar, another bar, a kiosco, and a number of shops. "No, we don't change money". I offered to exchange a five-peso-note for four peso coins. Still no. "The bank is eight blocks that way". Well, I may like going by bus, but I am not going to walk eight blocks in order to change coins which Hotel Sheraton should have understood to give us to begin with. Hence, after a bit of raised voices, I decided we would just board the bus, coins or no coins. With just four hours allocated to tourism, I wasn't going to spend any time running around trying to change coins. Sure enough, the bus driver didn't accept the five peso note. "Change it in a shop somewhere", I think he said (in Spanish). "No shop was willing to change any coins", I know I replied (in Swedish). We just sat down, and after a minute of hesitation, the bus driver felt obliged to drive off anyway, mumbling something about the "policia" and implying all kinds of trouble for us. Ha! The world is a much better place than that. Ten minutes later, along our route, an official-looking, uniform-dressed person boarded the bus, got briefed by the bus driver, and approached us. I had no intention of accepting any abuse from his side, but decided (as usual) to start in a friendly way, giving him the five peso note. And he happily exchanged it for five one-peso coins, with which I paid. No fine. No bad language. Gracias! 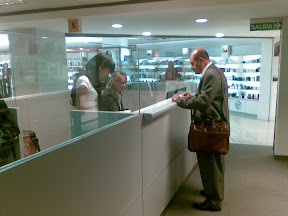 Update: Later on, when buying tea in a cafeteria, we wanted to get monetas in return. No tengo monetas. My (German) wife asked in English for coins. Nobody spoke English. But a fellow tea drinker approached my wife and asked her "talar du svenska?" ("do you speak Swedish?"). She sure did, and got some notes changed. I may have travelled a lot since joining Sun. 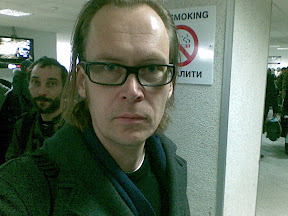 I have even got to see places I haven't been to before, such as Izhevsk or Bangalore. But despite this year's over 200.000 km (the equivalent of more than five times around the globe), usually, I've been to places I've seen before, and I hadn't been to a single new country. Even working for MySQL, there was only one country I hadn't visited privately before going there for MySQL, and that was Serbia in 2001. Not so this time! 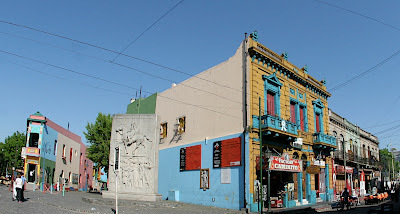 I'm in Argentina for the first time ever, and I'll later this week be in Uruguay and Chile for the first time ever. 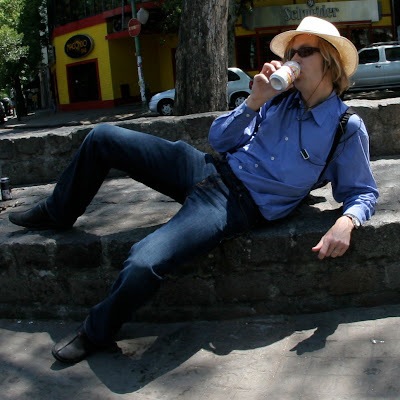 This also meant I appended an extra day to the trip, so that I could do a day of tourism, wearing my Panama hat. It got to be half a day as I have meetings at Sun, and a University event at Universidad Nacional de la Matanza but nonetheless, I got some time off. And I celebrated it by taking some 8mm pictures! Pictures: Top right: Yesterday's hard work, drinking Brahma. Left: Brahma is local beer. After a few days at home in Munich, I was fortunate enough to fly to the Southern Hemisphere again. 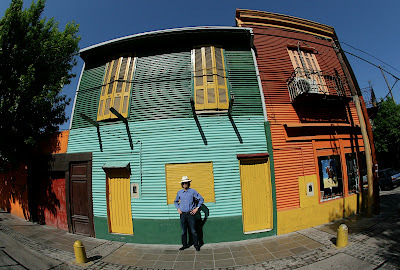 This time, I'm in Argentina, planning to visit also Uruguay and Chile. And there are commonalities with South Africa. Same season. Same hot weather. 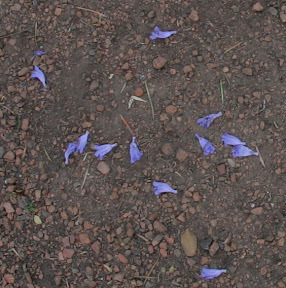 Even the same blossoming Jacaranda trees! 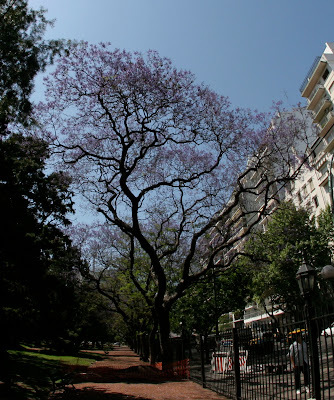 The one on the picture is in Jardin Botánico in Buenos Aires. Blue flowers on the sand, just as in Johannesburg. 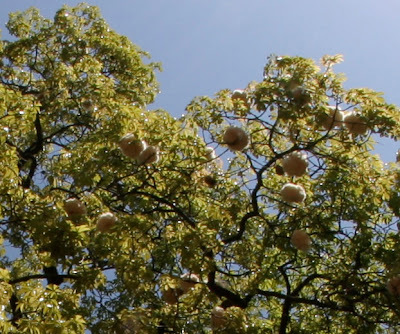 But unlike Johannesburg, there was another tree with big (15-20 cm) "balls" hanging in it. I don't know the name or origin of this species. Update: As Anabella tells me, the tree is called "palo borracho". I tried to translate it into English by Google. It said "Stick drunk".